Alum n Glass Limited is proudly owned and managed by Graeme and Lynda Brown. 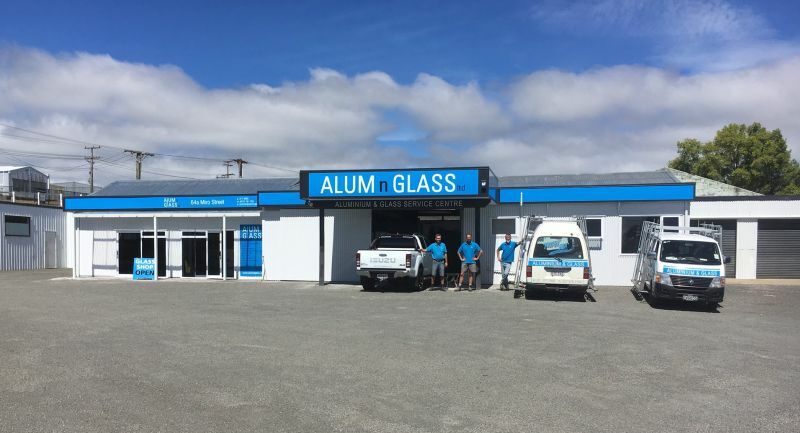 Both well-known, with over 20 years in business in the Taupo area specialising in aluminium and glass products. Graeme has a vast and varied experience in the aluminium and glass trade and we Welcome your interest in finding out what we do. We strive to ensure our customers to get the right product for the right job, and then keep coming back to us. We have a dedicated glazing and manufacturing workshop, and can help with all your aluminium and glass renovations, extensions, upgrades or anything to do with improving your surroundings. If its an aluminium and glass product, talk to us first. We proudly guarantee our work, we are New Zealand Building Code compliant, and our success is due to high standards, quality products and fantastic service. We will make you Welcome. Turn up on time – Guarantee the work! Please take a look at all the products we can offer you. Thanks so much for the fantastic job. We love it. Presuming I will just go ahead and make the final payment? Great service and awesome guys doing the work. Thank you and I have paid immediately. Really appreciate your effort, trust and flexibility with this job. Copyright © 2013 Alum n Glass. All Rights Reserved.